The official kick off, which took place during the band’s 2nd Annual Antigone Rising BeachFest in Sea Cliff, NY on September 19th, comes on the heels of a two-week-long trip as Cultural Ambassadors of the United States to Vietnam performing outreach programs, master classes and public concerts. Since stepping onto the music scene, AR fused their success with helping educate youths around the world on accomplishing goals as Cultural Ambassadors to the United States Government. Girl Bands Rock is a not for profit foundation set to inspire and educate kids, especially young girls, to pursue careers in the music industry. Antigone Rising partners with school districts and youth centers to create innovative programming dedicated to building confidence in youth by developing leadership and creative skills through musical workshops, outreach programs and performances. 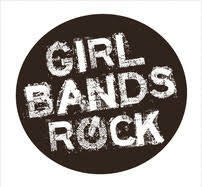 Realizing that the music industry does not provide enough worthy female role models, especially women in self contained rock bands, the Girl Bands Rock program provides kids the opportunity to see women excel in a male dominated profession and offers them strong female role models to emulate. As Cultural Ambassadors to the U.S. Government, the band has done outreach programs in Israel and Palestine and has recently returned from an inspiring trip to Vietnam this past July, 2015. The ladies of Antigone Rising have also played a part in LGBTQ advocacy, making news when Kristin Ellis-Henderson appeared on the cover of Time Magazine with wife Sarah Kate Ellis-Henderson, the president/CEO of GLAAD, for a feature on marriage equality. 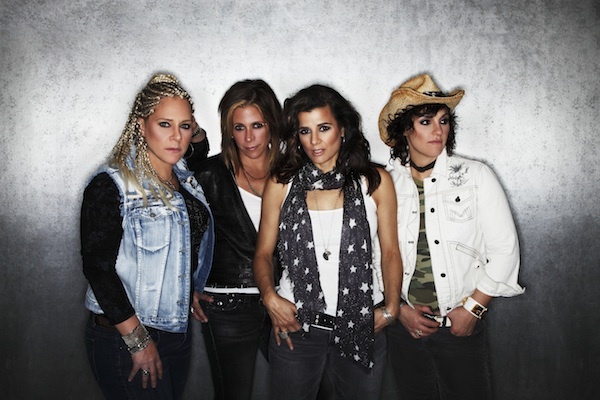 This past June, the band also came together along with other artists to support LGBT acceptance at the inaugural Concert for Love and Acceptance, presented by Grammy-nominated and Dove Award-winning artist Ty Herndon and GLAAD, and co-hosted by political commentator and author Meghan McCain. Founding sisters Cathy and Kristen Henderson have always had the same philosophy- play better than the boys and make sure the fans feel like part of the family! That philosophy--along with writing undeniably catchy songs--has allowed this self sustained group to maintain their independence and leave an indelible mark on an industry best known for leaving girl (bands) behind.